My artistic research includes both my practice and my pedagogy. I’m interested in what it means to perform with the non-human and how culture shapes our perceptions of ecologies. I am currently a Visiting Assistant Professor of Visual Studies and Foundations at Grand Valley State University. Please contact me for a current Statement of Teaching Philosophy or inquiries regarding published works. 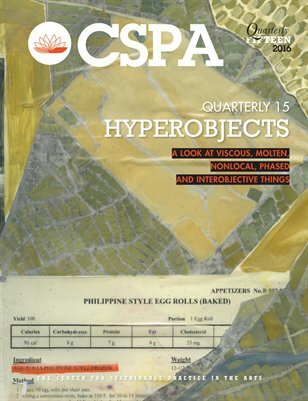 I am currently one of the editors of the Center for Sustainable Practice in the Arts Quarterly. I have previously been an eco-art writer for inhabitat.com, culturebot.org and greenmuseum.org. I participate in conferences like Performance Studies International, the CSPA Convergences, and Earth Matters on Stage, and have been published in the Journal for Artistic Research. Click here for a feed of my research and writing projects. — from a Participant Evaluation, A Lab for Apologies and Forgiveness v.5, 2-week intensive performance workshop, All Saints Episcopal Church, Saugatuck, Michigan.